Madison – Today, Governor Scott Walker joined state and local leaders, including Speaker Robin Vos, Majority Leader Scott Fitzgerald, Milwaukee County Executive Chris Abele, and Milwaukee Mayor Tom Barrett in announcing a plan to protect state taxpayers from a loss of approximately $419 million, if the NBA relocates the Milwaukee Bucks. The total state contribution will be capped at $80 million. 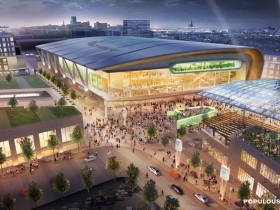 In April 2014, new owners bought the Milwaukee Bucks from Herb Kohl in a deal approved by the NBA and contingent upon the construction of a new arena by 2017. If a new arena is not constructed by 2017, the NBA will buy the Bucks back from the current owners and move the team to another state. If the team is relocated, there will be a loss to state taxpayers of at least $419 million over the next 20 years due to the loss of current revenue, future growth, and the ongoing costs to maintain the Bradley Center. Current and former team ownership committed to fund $250 million toward funding the $500 million arena project. 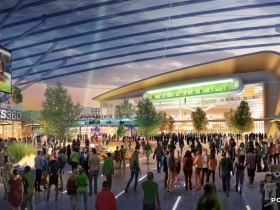 Under this plan, state and local governments will also fund $250 million, or half of the total project costs, toward building the new arena without tax increases or state bonding. Any cost overruns would be paid by other sources, but not the state. Working together with local leaders, Governor Walker, Speaker Vos, and Majority Leader Fitzgerald developed a plan that will cap the total state investment in the project at $80 million over 20 years. Over a 20-year period, this plan protects $299 million in income tax revenue, including the base and projected growth. Local governments will fund the remainder of the investment through infrastructure investment, direct funding, and financing through the Wisconsin Center District. For every dollar the state invests, state taxpayers will get a $3 return through income tax revenue. State and local governments will fund $250 million, or half of the total project costs, toward building the new arena without tax increases or state bonding. The state puts forward $4 million per year for 20 years, with the total state investment capped at $80 million. The city will contribute $47 million through the creation of a TID and paying for a parking structure in upfront cash. The county contributes $4 million per year over 20 years through a state debt collection agreement. The Wisconsin Center District uses existing revenue streams to finance roughly $93 million in bonding for the plan. Caps state contribution at $80 million toward the arena project. Caps the total public contribution to the arena project at $250 million. Claw back provisions included to protect both the state and local governments. If the Bucks leave they will have to pay back the public investment. The payback will be proportional to dollars contributed. Any cost overruns would be paid by other sources, but not the state. Maintenance and operations will be paid for by the team, not by the state or local governments. The team and its partners will contribute 50 percent of the cost of the project with local funding coming in at 39 percent and the state contribution estimated at 11 percent of the total cost. Taxpayer liability for the Bradley Center estimated at $120 million in costs over the next ten years. Supports a new arena without tax increases or state bonding. Creates or preserves roughly 15,000 permanent and temporary construction jobs. Protects state taxpayers by requiring the Bucks to reimburse the public investment should they leave the state. The state will benefit from a $1 billion economic development project, which is estimated to create or preserve 15,000 permanent and temporary construction jobs. I know through newspaper articles that Gov. Walker talks with God about every step he takes in life, and God talks with Gov. Walker. Gov. 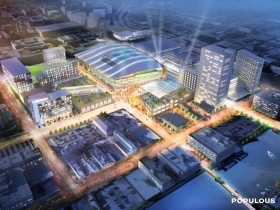 Walker have you talked to God about this Arena plan…and if so, does He approve? Just got off the phone with God. He said that yes he did give Walker the go ahead for the arena plan. PMD: My question is directed to Gov. Walker. “Cheaper to Keep Them” Scott Walker’s God must have a marketing degree from West Bend Elementary School. Dave: More likely a religious voucher school. Ew, there’s some nasty attitudes floating around here today. Speaking of negativity, I think the “cheaper to keep them” is a very poor ideal. The bucks and an arena are far more valuable to the city and state than just their tax payer dollars. i wish they would have focused more on that. 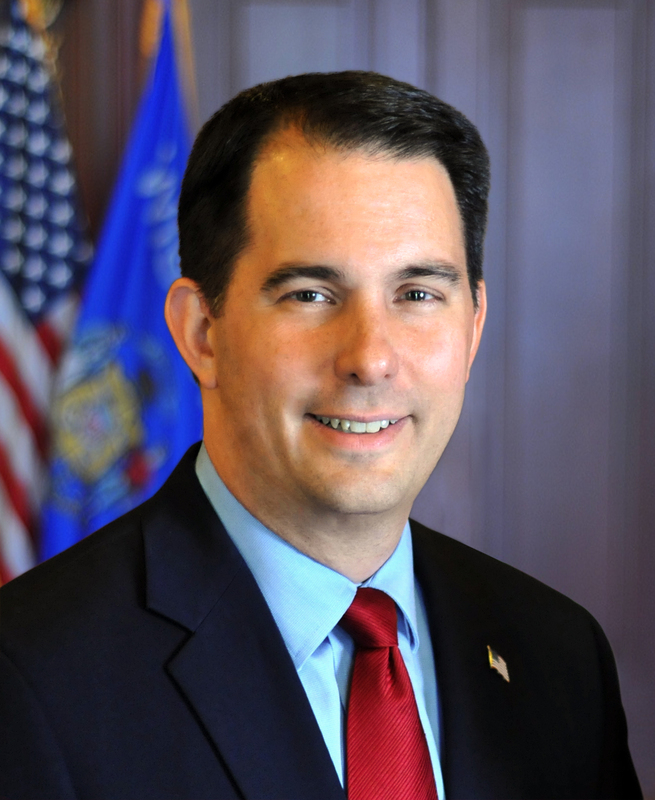 Walker is the ultimate stooge, con-artist, and a good fascist for his corporate masters. In a fair and balanced government, all citizens should share in the cost, and risk of a community asset like a new arena. In the Walker world, where he has stripped public workers of 15% of their wages, stripped working rights, made drastic cuts to public education and the UW system, suppressed voting rights, looted taxes and shoveled money to his benefactors in a pay to play scam through WEDC, limited rights of due process, silence the voice of scientists and experts, spreads fear and toxicity across the state leading to a downward spiral in worst in class in the USA in most leading economic indicators, citizens are likely in no mood to support another of his scams. With all the negatives Walker has brought to Wisconsin, it is insanity to support such a civic project to benefit a corporation, without shared profits for the larger community, just so the wealthy class can reside in private boxes and not have to rub elbows with the rabble (the majority). The circus in the form of the Bucks should not be enough to entertain the masses and make us forget what a corrupt and intolerable government system Walker foists on Wisconsin.